Very nice review. Thank you. Ok. 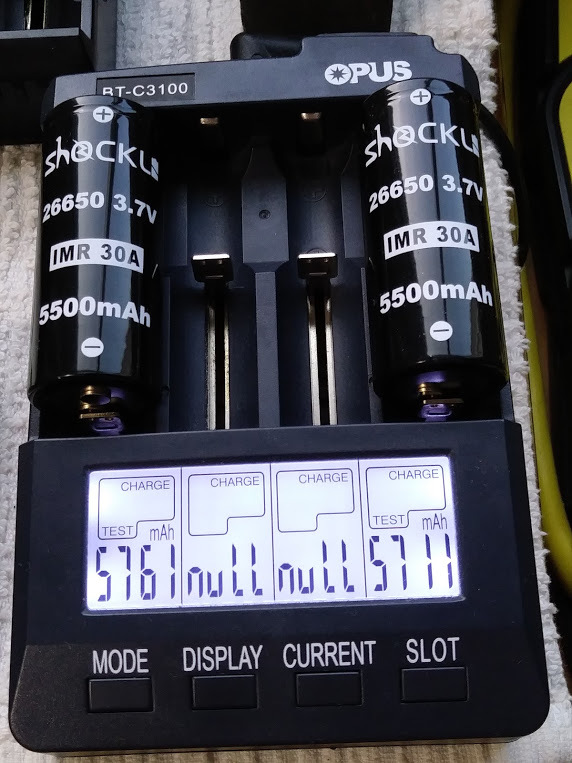 I have to say i am very impressed it with the shockli imr.. i got the lumen tube, so i get better reading..
As you can see shockli imr maintain 3740 lumen after 30 seconds..
Capacity test of the Shockli cell I just got from MTN Electronics. Not sure if it’s the same cell as HKJ tested since the wrapper is different. Discharge current: 500 mA. Yes it is the same cell, they changed the wrap shortly after it was released. Idk why, I liked the one with the red warning. They just changed the wrapper. Thanks. Yeah, the older label looked more professional, IMO. Also, the mfg stated max charging current is only 2A, so that’s only about 0.35C. Seems a bit low, given the cell’s low IR and overall capacity. Are there safety concerns about charging it at a higher rate, say 3A? Or is the 2A rate given to maximize the cell’s life? Standard charge current from the actual manufacturer, powerlong battery, is 0.5C or 2.75A. .35C is said to be ideal for longevity, .5C is the “standard” rate, and 1C is a fast rate, for lithium ion batteries in general. Foul looking chinese market wrapper, in my opinion. “IMR 30A”, incorrect and misleading. Given that OEMs do not seem completely happy pertaining with direct consumer sales of their cells and we have to live dealing with rewrapping companies, I'd sincerely hope for at least a handful of them to give straight OEM based specifications in their wraps. The rewrapping procedure, as it is, destroys OEM information and alters its specifications. I am not willing to condone this, I fully endorse truth and honesty. Poor markings, incorrect English translations, and spelling mistakes from a cheap Chinese company? Unheard of. Given that OEMs do not seem completely happy pertaining with direct consumer sales of their cells and we have to live dealing with rewrapping companies, I’d sincerely hope for at least a handful of them to give straight OEM based specifications in their wraps. The rewrapping procedure, as it is, destroys OEM information and alters its specifications. I am not willing to condone this, I fully endorse truth and honesty. Your going to be let down if you expect truth and honesty all the time! I go by HKJ testing. This is a good battery. I am NOT concerned what the wrapper looks like its what is inside the cell that counts! Shockli emailed me this morning[out of the Blue] and are sending me 2 X 18650 3600mAh batteries supposedly the same performance as GA/MJ1,,,,we will see. Totally looks like it. Send them this PLB INR26650-55A OEM link and ask for product confirmation. Good luck with Alibaba, tell us how it goes if you do. Purchasing agent maybe? Let’s try to find some difference together? 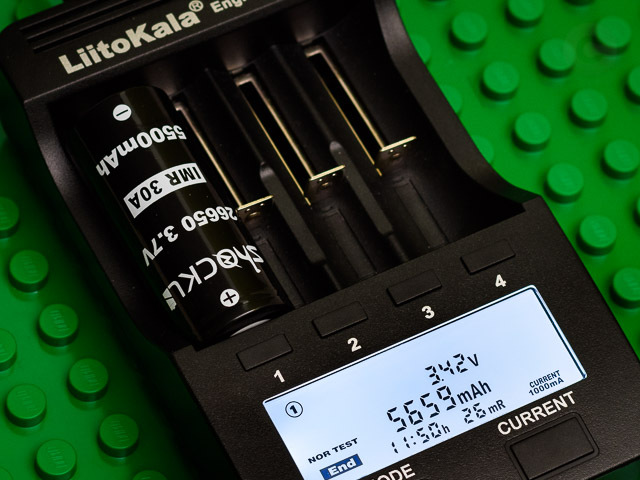 Hi, I’m new to the forum but some time I’m following the shockli 5500 post, I recently got a D4S and would like to buy this battery but unfortunately I can not find it. Today I saw an interesting offer of this battery in the site 192led.com and they deliver in Brazil …. anyone can tell me if this site is reliable? I do not want to buy fake product or lose money …. if anyone can help thank you. Thank you for your help volchyonok!!! I'd say give it a go, Cesconetto. The site is young as volchyonok asserts, you can also check the related available information in the well known who.is site. Found some good reviews for 192led.com at sitejabber.com. If I were you I'd buy from them, they look good to me and their pricing for the Shockli 1C 5500mAh 26650s is really good. Bookmarked. volchyonok, the people here would thank greatly if you were to make some efforts learning english. It can be hard to understand what you say because machine translation is bad and it oftens distorts the actual translated meaning. By the way, the cells rewrapped here (Shockli IMR26650 5500mAh, also Vapcell INR26650 5900mAh) are from PLB, not from PAC. Hint: battery OEMs do not usually sell to consumers, they deal by the truckload or larger to companies if you know what this means. In that review the editor said cells A and B were from “Hengji Battery”, whereas cell C was attributed to Power Long Battery. Distinctive PLB markings can be clearly seen in the above picture, rightmost cell. Zoom the photo if needed. Maybe not a bad offer, but pay attention to where Cesconetto is located: Brazil. Pretty sure the shipping quote to Brazil from Mountain Electronics LLC isn't going to be cheap. To Spain I am quoted $23.75 for a couple 26650s. Shipping to nearthesun for sure is going to be a tad pricey too. That is a sure and safe deal if FastTech ships to your location. However, I am pretty sure the deal from 192led.com is fair. thank you Barkuti! I thank you for the attention you are giving me …. as I said I got a D4S this week and I am now choosing the ideal battery for it. I saw the staff speak very well of Shockli for this flashlight …. but other options are welcome …. Health and peace !!! The shockli 5500 is the best 26650 cell that exists. The only other one that is as good is the keeppower 6000mAh, which is the same cell but with a different wrap. Tank Enderman…I just closed the shockli 5500 request through 192led.com, I paid for the paypal that has delivery guarantee … then I make comments of the experience …. sorry for later reply to you. !!! Please Pay Attention !!! The Shockli 26650 5500mAh battery from 192led.com are fake, our company never provide any battery to the 192led.com and will not provide them in the future, please be careful of the purchasing. Please leave message in the forum or email sales@shockli.com for any questions, thanks. I suggest you apply for compensation from the seller on your behalf. So where can we buy the Shockli 5500 battery that is in stock? you can buy from www.mtnelectronics.com if you are in USA, we had ship his order and his shop will restock in next week. or you can get the battery from www.gearbest.com, they are all original battery. you can buy from…they are all original battery. Thanks for pointing that out. I do wonder, what could they be selling then? Is your land fake paradise? As far as I or we are concerned, if we can demonstrate a seller's fault that behaviour can only really hurt the seller. Good thing is paying with PayPal makes it easy for us. On the contrary, AliExpress is hurting itself by allowing improper buyer protection. The AliExpress Case Management Team looks to be a bunch of ignorants not willing to accept global internet data and evidence, at least this has been the case for me in battery shipment disputes. I have never lost a case, but due to the involved dispute defense efforts now I just buy super-cheap and good battery “fake” rewraps which I know are made by some good 2nd tier OEM like BAK, Lishen, etc. On top of this, the prices you request for your 5500mAh flat top 26650 cells in AliExpress are, in my honest opinion, rather expensive. I see $52.36 (≈€46.53 right now) for 4 pieces, c'mon! You sure can do a lot better than that! 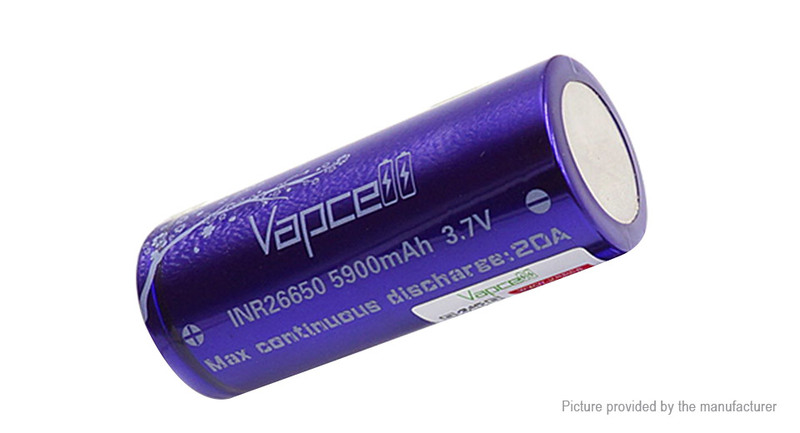 Take, for example, the Vapcell INR26650 5900mAh 4-pack at FastTech: it's $36.86 price gets down to $35.02 after BLF coupon, plus $3.65 TNT-PostNL shipping nets a $38.67 (≈€34.93 after credit/debit card conversion) total. Yes, I know both cells are the same Power Long Battery INR26650-55A NiCoMn (INR, not IMR) cell under the wrap. And let me say that I think Vapcell's prices are not cheap. To me it looks like Shenzhen PAC Technology is some sort of battery pack assembler. This is the kind of company actual cell manufacturers deal with by the truckload. On the other hand, buying in Alibaba is quite different than from AliExpress and other retailers, and you are to deal with custom fees and other paperwork. Thus, the actual unit price you'll see at home will be higher than those $2.50 for up to 499 pieces and $2.20 henceforth. It depends on how much pieces you want and the liabilities you are willing to deal with. Definitively doable if you need a large battery pack.